With NAMM 2018 over and done, it's time to look past the star power and gimmicks and focus on what truly matters—your tone and playability. While there has been plenty of innovation in guitar technology in the last few years, will any of these new ideas actually affect your personal tone, feel, and playing? I took a look at the current crop of guitar technology and have found a few trends sure to make an impact on players. Up til now, alternate woods have been slow to catch on, but with CITES regulation in full swing, makers have been forced to adjust. Alternative tonewoods will be a new trend for a simple reason: rosewood and other protected woods are less available, more expensive, and now illegal to import/export. One example of how this is affecting brands comes from Kiesel Guitars—they simply will not sell a guitar to an overseas buyer with a rosewood fretboard. Large makers like Fender and Gibson are already using pau ferro and baked maple, respectively, on standard models with large production runs. Torrefied granadillo is also being worked into the Gibson line. Gibson, Deering, and Martin are expanding the use of Richlite, a fiber composite, on models as well. This is not necessarily a bad thing, as baked maple and figured maple fretboards are being well reviewed, as well as adding a new visual appeal to moderate and entry level-priced instruments. 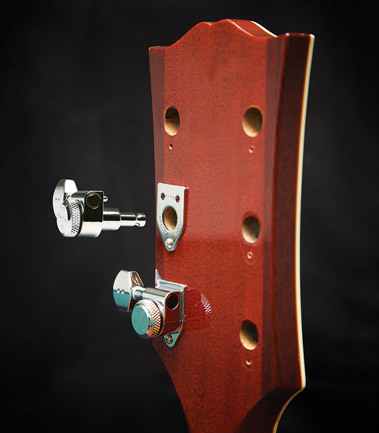 With the success of Hipshot’s UMP (Universal Mounting Plate), which made upgrading tuners possible without paying a tech or drilling holes, similar products have followed. Graph Tech’s system, Invisomatch, is more elegant and less visually apparent. Never before has such a fundamental improvement been so attainable to the player. Graph Tech’s system is less than $7, while, previously, new tuner installation could cost more than the actual tuners. A related improvement is that Graph Tech is also making archtop bridges from its TUSQ man-made ivory material. 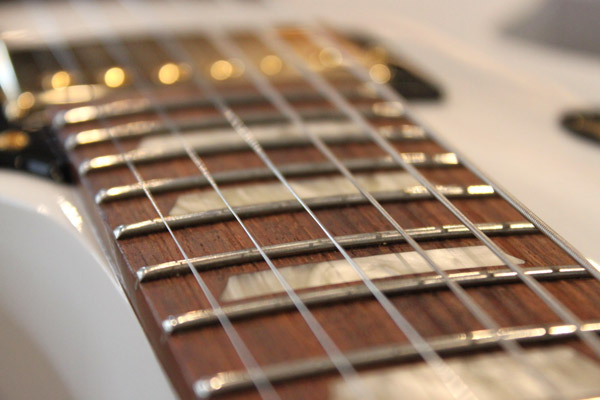 Godin has already adopted this on some of its models, and more companies could follow suit. This is also not necessarily a bad thing, as this composite is well respected for its tone, durability, and adjustability, making it an interesting upgrade to tradition. This might also be a great improvement to lower-priced archtops with questionable bridge shaping. While tubes will always be king in some circles, the proliferation of solid-state amplification can’t be denied. On the small scale, the success of the Yamaha THR has led to a host of new products, such as the Boss Katana series, Marshall Code, Blackstar ID, and others. Players have seemingly accepted that functionality and consistent tone on the small scale can be more important than tubes for home or practice amps. On the larger scale, the Fractal Axe-FX II has replaced traditional amps in many pro touring rigs. At NAMM 2018, Fractal introduced the Axe-FX III, which has a staggering amount of models, as well as a huge increase in processing power. Even for touring acts that use traditional amps, the Axe-FX is a popular all-in-one effects and pedal solution. Looking to capitalize on that trend, Line 6 introduced the HX Effects, which contains no amp or speaker models, but over 100 effects, with up to 9 at the same time. If this proves successful, the giant multi-effects floor processor could be the trend. Even with tube amps losing a bit of ground, mini/micro/nano tubes are slowly gaining acceptance for a number of applications. First utilized most popularly in a series of Seymour Duncan pedals from the late-2000s, these small tubes are experiencing a new life. 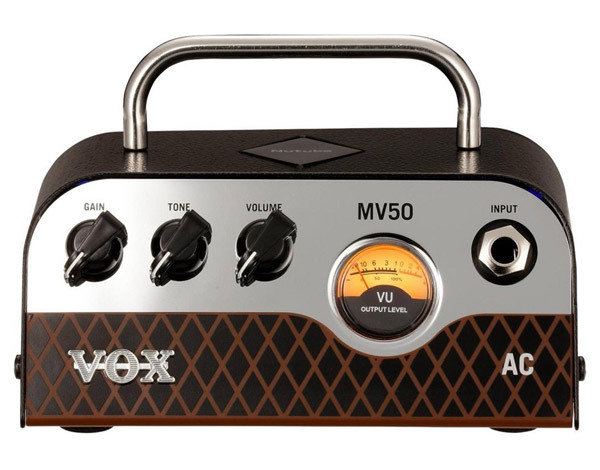 The BluGuitar pedalboard-sized amp has been well liked, and Vox has a number of new amps that feature their "Nutube" technology. These have been surprisingly well reviewed, and gaining market share for small, feature-rich amps. Ibanez took this a step further at NAMM 2018, by adding a Nutube to its hallowed Tube Screamer pedal to make the NU Tubescreamer. This inclusion in a regular-sized and mid-priced pedal signals that we could see more of these tiny tubes glowing their way into to the small amp and pedal market very soon. While guitar players are typically traditionalists when it comes to body shape, 2018 seems like the year that wild finishes and ergonomics have come to the forefront. We’ve seen wild finishes before (see 1980s rock guitars), and this trend is back in a big way. ESP, B.C. Rich, Ibanez, and even Gibson recently produced runs of brightly colored guitars, in very 1980s colors. The reissue of the Ibanez RG Genesis series brought back this aesthetic in a big way. 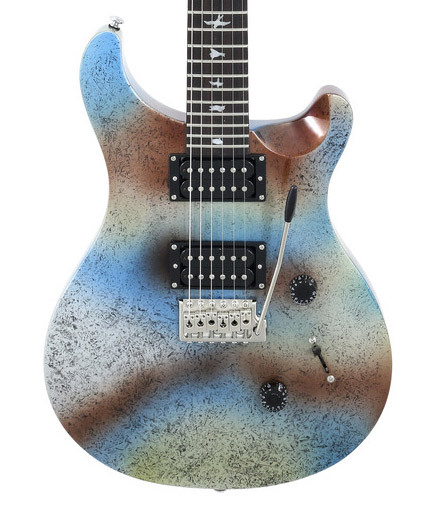 Multi-color finishes on new models, like the Ibanez AZ, the PRS SE Standard 24 in Multi-Foil finish, and Gibson "Boogie Van" finishes signal that major companies are not afraid to be bold with appearances. Ergonomics have also become a new trend in body form. With Taylor adding an arm carve to its most affordable models in the Academy Series, a once custom option, is now commonplace. On the more radical end, fanned frets/multi-scale fretboards have become standard to many models of Ibanez, Strandberg, ESP, Agile, Kiesel, and a host of custom makers. With this trend—which will continue to grow as more players see the potential—body shapes have also become more ergonomic, as Ibanez, Strandberg, and now Abasi have taken the idea of function over traditional form to new heights of playability. Trends are always hard to predict, especially in a guitar market that is equally and paradoxically fickle and traditional. However, these new products and ideas have been gaining ground slowly, being driven by players’ demands, not marketing departments. With internet forums offering instant feedback and market research, 2018 and the future looks bright for useful and desired tweaks and additions for players to focus on the most important thing—playing and sounding better. And of course, looking cool. Any trends we missed? Let us know what guitar trends you’re seeing in the comments.